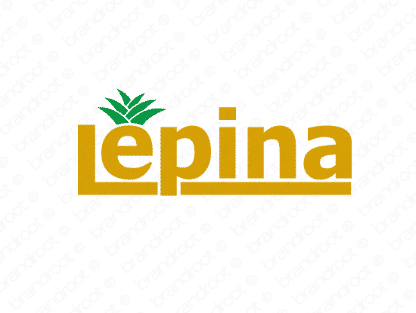 Brand lepina is for sale on Brandroot.com! A catchy name that includes the Spanish word "pia," meaning "pineapple" or "pine," allowing it to convey vivid images of sunny beaches and relaxing resorts. Its exotic vibe makes it fun to say. You will have full ownership and rights to Lepina.com. One of our professional Brandroot representatives will contact you and walk you through the entire transfer process.